The Crystal Cache is written by Kathy Sattem Rygg. 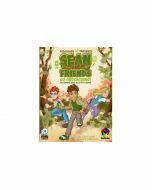 This 182 page paper back book is great for kids, teens, or any Geocachers that like a fun adventure! Twelve-year-old Dylan Fisher is a treasure hunter, and the creek behind his house has plenty of it. He hits the jackpot when he finds a geocache containing a cool crystal rock, and he meets the new girl next door. Both seem special, but both have a secret. When a corrupt eco-company steals the crystal and puts his new friend in danger, Dylan finds himself in the middle of a rescue mission. 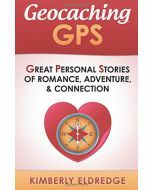 Through geocaching, he must solve encrypted codes, secure the crystal, and protect the girl, but it means facing his fear of natural disasters and putting his own life at risk.